← Jesus can walk on water…. So I’ve been a bit quiet lately, we’ve been away on holiday to visit family in the UK, and then I just started a new job (back to working full time – eek!) so the last few weeks have flown by, I’m just catching my breath! In the blink of an eye – or s o it seems – spring is finally here and the weather is starting to pick up, it’s looking like it might get up to over 30 degrees this weekend! 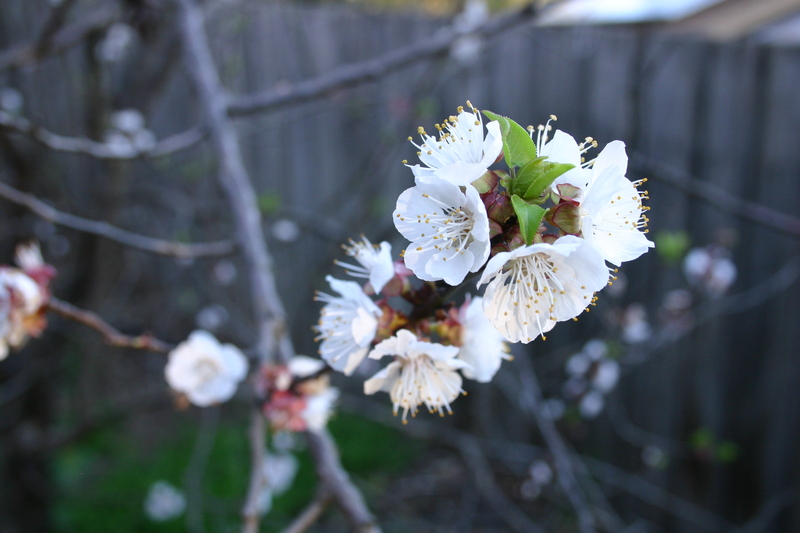 The trees are blossoming – including our lemon and apricot trees in the garden, and the lovely native wattle trees with their pretty yellow pom-pom flowers are everywhere at the moment, a really cheerful sight to brighten our days! I’ve loved getting out in the garden and grabbing some pictures of some of the lovely native and non-native flowers that are blooming right now – many of them seem to flower for such a short period and die back before it gets really hot, so I’ve been trying to get pics of them while they are around. To try to catch up after my busy few weeks we had a busy day in the garden today, getting some way towards adding in a new veggie bed, and planting a whole bunch of seeds including chillies, peppers (capsicum), borlotti beans, sweetcorn, courgette (zucchini) and butternut squash – phew! I hope they all come through, and also that we can get the veggie beds finished in time to make space for them if they do! Looks like the veggie patch is coming to life too, the swiss chard (aka silverbeet) is growing new leaves and the garlic I managed to cram in a few weeks ago is sprouting. 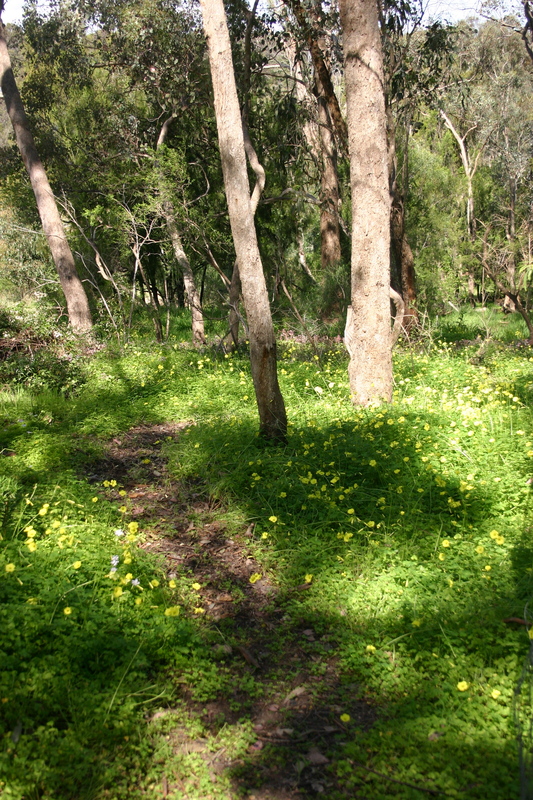 Meanwhile, in our absence the ‘woodland’ area at the back of our garden that is filled with lots of native shrubs and eucalypts seems to have sprouted an army of Oxalis. I have to admit they look really pretty under the trees, and have bright yellow flowers that open during the day and close at night – much brighter than the normally bare ground (covered with varying levels of bark chips) that we have under the eucalypts for the rest of the year. I have been advised to spray the whole lot with Roundup, but that is not going to happen in my garden, so I’ve been trying to clear them manually – time will tell how successful that has been but I’m not too bothered, once the weather heats up they die back until next year, and I do quite like them to be honest! The girls (and boy) have been enjoying some supervised time on that area of the garden, which they LOVE! 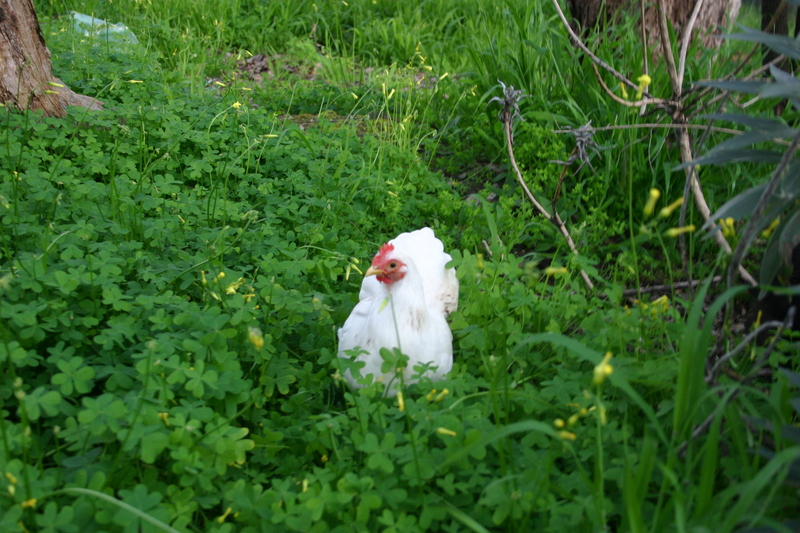 I’ve read that Oxalis is not great for chickens to eat due to it’s high concentration of oxalic acid, hence the supervision, but they’re enjoying eating the other weeds and grass that are out there – so much so that they are only allowed out for 20 minutes or so immediately before sunset, so I can easily get them back in to go to bed! They love it so much that they crowd around the door to their run every evening, waiting to see if we’ll let them out onto that part of the garden, and seem quite disappointed if they can’t go out there. I think they’re getting a bit spoilt! Little Helena enjoying her adventures in the ‘forbidden zone’ at the back of our garden. This entry was posted in garden and tagged chickens, garden. Bookmark the permalink.